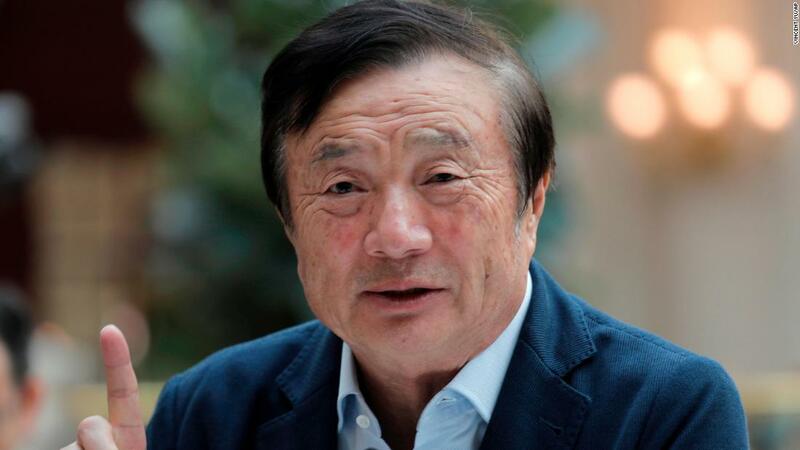 "The US can not destroy us in any case," said Ren Zhengfei in an interview with the BBC aired on Tuesday. "The world needs Huawei because we are more advanced." Huawei, the world's largest manufacturer of telecommunications equipment, is fighting an American campaign to persuade American allies to eliminate the company's technology from super-fast 5G networks. Australia and New Zealand have already limited mobile operators to using Huawei devices for 5G. The United Kingdom, Germany and other countries are considering whether to act against them as well. 1; an allegation that the company has repeatedly denied. US prosecutors have also indicted Huawei and its Chief Financial Officer Meng Wanzhou. Meng, one of Ren's two daughters, was arrested in Canada in December and is threatened to be extradited to the United States. The US offensive against Huawei has weighed on relations between Washington and Beijing and threatens the introduction of 5G networks in the US world. "We need to protect our critical telecommunications infrastructure, and America calls on all our security partners to be vigilant and to reject any business that would jeopardize the integrity of our communications technology or our national security systems," said US Vice President Mike Pence on Saturday at the Munich Security Conference. 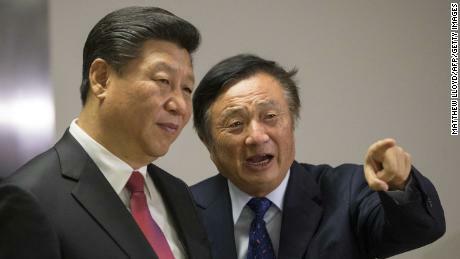 "America does not represent the world"
Ren, 74, founded Huawei 32 years ago after working as an engineer in the Chinese military and worked in the oil industry. As the son of rural school teachers in the mountains of Guizhou Province, he has made his company a global giant with annual sales of more than $ 100 billion. Ren, who retains the title of CEO, told the BBC, even if that's the case The United States should convince more countries to stop using Huawei, the company could "just reduce things a bit". "When the lights go out in the west, the east will still shine," he said. "And when the north gets dark, there is still the south, America does not represent the world." Analysts Agree Huawei's large global business, which is strong in many emerging markets, could survive, even though the US government is getting more of its allies to exclude its products from 5G networks. The company is widely regarded as one of the leading competitors of 5G technology and is therefore almost irreplaceable for some mobile devices. Huawei is also a top smartphone maker and wants to overtake Samsung next year as the largest in the world. But it is still vulnerable. 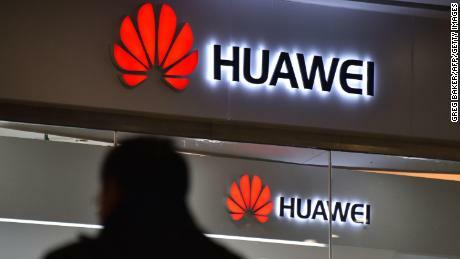 According to analysts, the Trump administration could use Huawei's recent indictment to ban it from buying key components from US companies. That would almost certainly plunge Huawei into a crisis similar to that of his smaller Chinese rival ZTE ( ZTCOF ) which was paralyzed by a similar ban last year  Huawei and Meng are both denying the lawsuits filed by US prosecutors over the past month. Ren told the BBC that he objected to extradition for his daughter, claiming it was "politically motivated." "You may have thought that if they arrested their Huawei, we will fall," he said. "We are still making progress." In comments to the media last month, Ren said that he greatly missed Meng, but also gave an ambiguous description of their relationship. "It's a close relationship in some aspects and not so narrow in others," he said. "Throughout my childhood I was in the military, which means I was 11 months each year and a month "My relationship with them during their childhood and adolescence was not so strong." 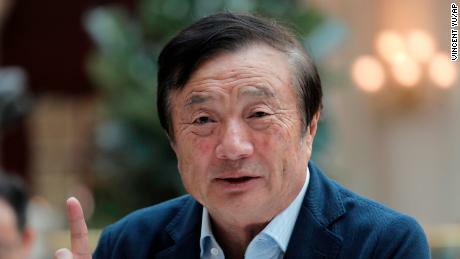 In later years, he fought for Huawei's survival and worked regularly on 16-hour days. However, he feels that he is not close to any of his three children. "We still trust the UK ien "
The Chinese government vigorously defended Huawei as it came under increasing pressure from the US and demanded the immediate release of Meng. Foreign Ministry spokeswoman Hua Chunying said Monday that Pence's comments in Munich were "hypocritical, immoral, unfair and mobbing". She repeated Beijing's criticism that the US government "seeks to undermine the legitimate rights and interests of Chinese companies, fabricate lies, and intervene in economic activities through political means." 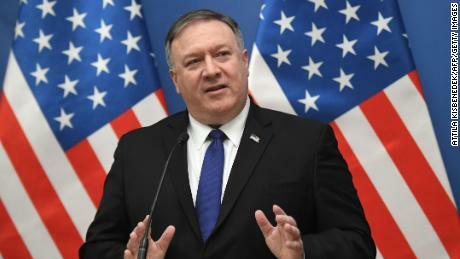 A potential crack that occurred this week in the Alliance of the United States of America against Huawei was built. 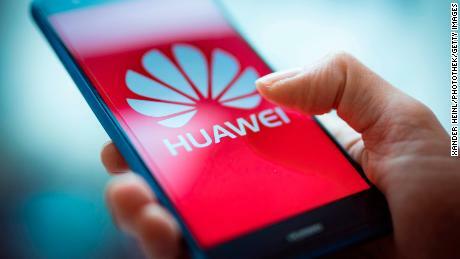 British intelligence has come to the conclusion that there are ways to limit the risks of using Huawei devices to build 5G networks, according to a Financial Times report. The UK government, which is a member of an important alliance to share information with the United States, said in response to the report that it would finalize its security review of 5G network technology in the spring, but no decision has yet been taken. Huawei is already largely excluded from the US telecoms market, and Ren told the BBC that if the US government continues to oppose the company's investments, it will simply relocate more stores to the UK. will continue to invest in the UK, "he said." We still trust in Britain and hope the UK will trust us even more. "